Caged Prisoner font is decorative font which is designed by The Original 19. This font is labeled as Distorted font. Caged Prisoner font family has 1 variant. This is a trial version for personal use only. For commercial usage and/or complete character set email barrybujol6@yahoo.com or visit http://theoriginal19.blogspot.com Usage Agreement You may not host this font anywhere online as it is hosted exclusively at FontSpace.com and Dafont.com. Any links for downloads should be directed to FontSpace or Dafont. You may share the font electronically but the Zip file should remain intact with the font alongside all other files as packaged. You may not sell this font, but are allowed to distribute it freely i.e. in magazines. 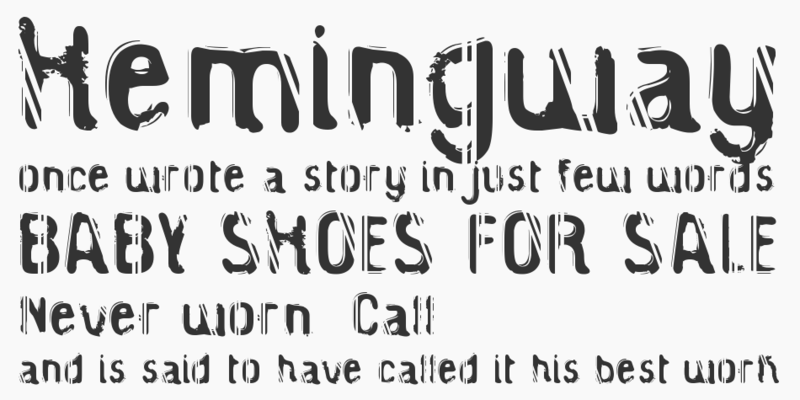 Caged Prisoner font is one of Caged Prisoner font variant which has Regular style. This font come in ttf format and support 236 glyphs. Based on font metric, Caged Prisoner Regular has usweight 400, width 5, and italic angle 0. This font is labeled as .